My oh my, it has been quite the month so far. I feel like this always happens at the end of the year. We all get super busy before the holidays and have lots of deadlines and stuff to finish. That’s why I am currently really looking forward to having some much-needed down time spent indoors. 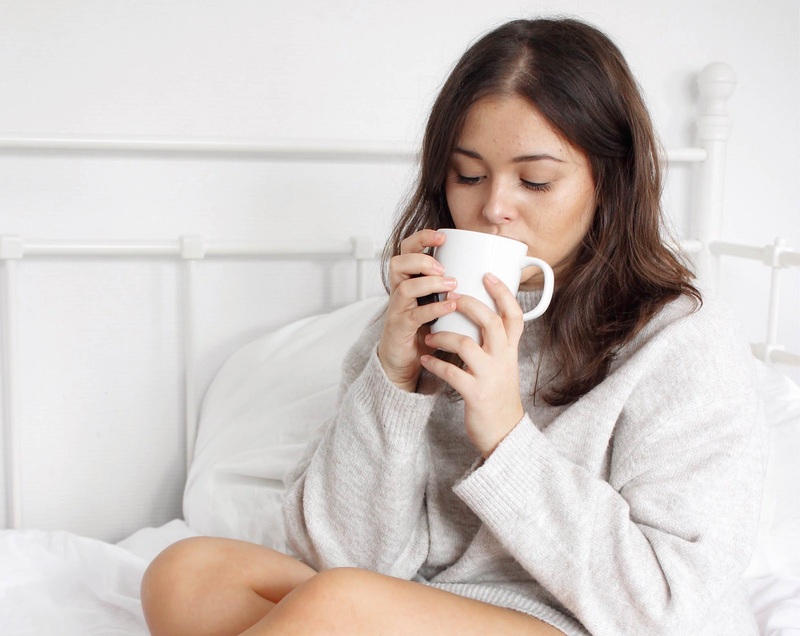 The colder days make me look forward to spending time inside with cosy loungewear, a hot chocolate and a warm blanket. Whether I am spending an evening in with a friend or just on my own, this sounds like an ideal way to spend it. 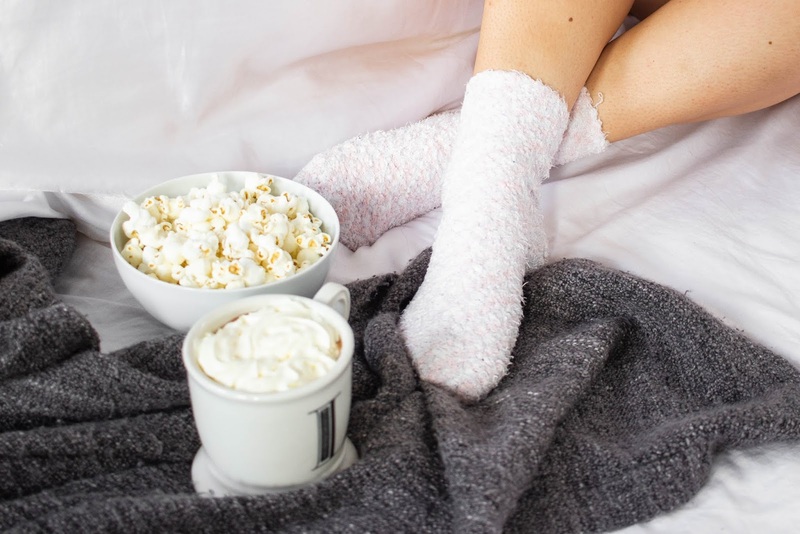 Being cosy is the most important thing when you’re having an autumn night in. 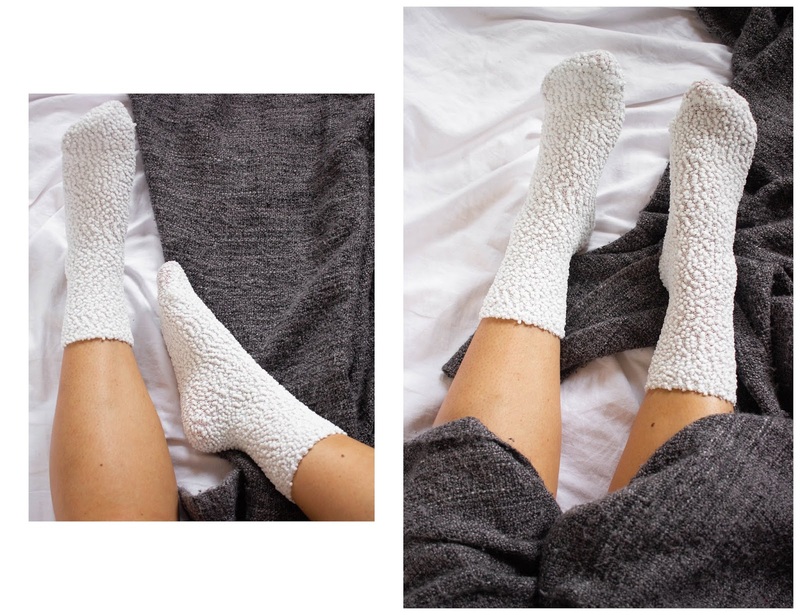 It’s time to get that your comfy clothes out and to put those cosy socks on. Also get your cosiest blanket out, so you are ready to spend your autumn night in. 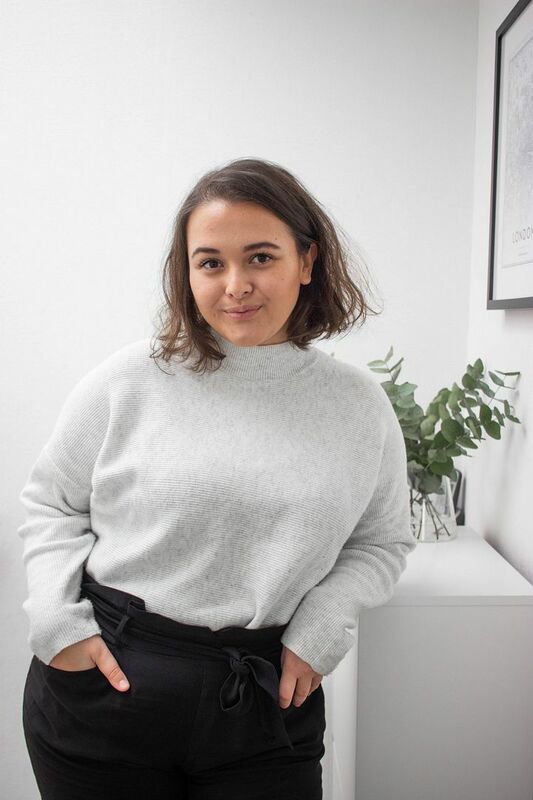 One of my favourite things to do, is to actually put my comfy clothes onto my heater, so they are nice and warm to get into so you get toasty too. As soon as I am super cosy in my pyjamas and have my cosy socks on, it’s time to start pampering my face. I like to call this my ‘at home spa time’. Because whenever it’s time for me to spend time pampering my skin, I really like to go for it. I usually start of my cleansing and exfoliating my face. Then to finish things off I like to put on a clay mask. The cold can also really affect your skin and if my skin feels extra dehydrated I also like to put an overnight mask on to get some hydration back so my face really feels like it is being treated too. Once you have are super cosy in your loungewear and have treated your skin to a facemask, it’s time to treat yourself to something. We all deserve those nights where we let ourselves go a bit when it comes to food. I always like to treat myself to something I am particularly craving at that moment. Sometimes I crave something sweet, such as a cupcake, brownies or a donut, other times I like to treat myself to a bowl of crisps or some salty popcorn. If really want to treat myself I sometimes make myself a homemade pizza, but if I am feeling lazy and don’t want to make anything from scratch, I would just order one. 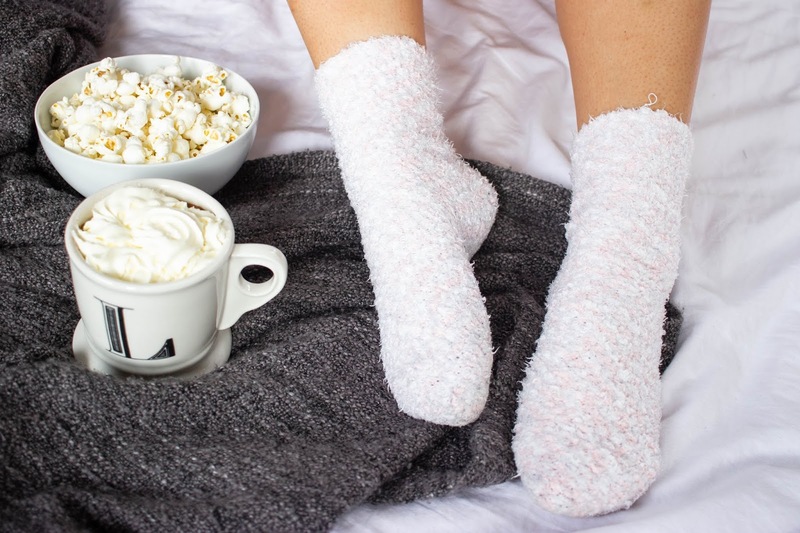 A night in calls for something, anything to sip that makes you feel super cosy. If you’re a wine sipper than this is the perfect evening to enjoy a glass. It’s also the perfect time to make a spiced apple cider, which is perfect for this time of year! I am more of a hot drinks person. On evenings like this you could really make me super happy with a steaming hot cup of tea or a really tasty, homemade hot chocolate with little marshmallows and whipped cream. 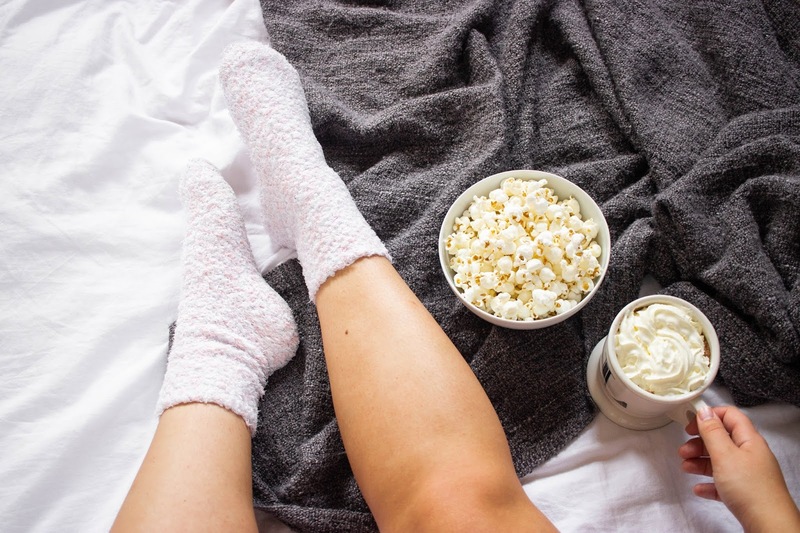 Once you are feeling super cosy in your comfiest outfit, have pampered yourself and got your snacks and drinks ready, it’s really time to start and end the night. I love to end the night with watching a cosy film or catching up on a series. Since I am feeling super cosy during this time of year and because I have treated myself, it’s usually this time of year I start watching extremely cheesy, feel good films. I have a very long list of very cheesy films as those cheesy Hallmark Channel autumn and Christmas films. If I have had quite the hectic week where I spent most of it typing away at my laptop, I like to give my eyes a little break. Blue light is super bad for your eyes and I usually get a really bad headache if I spend too much time looking at a screen. So if I had a busy with lots of staring at a screen time, I usually like to get a book out to read instead. A cosy autumn evening in is the perfect time to cross off another book from your book list.